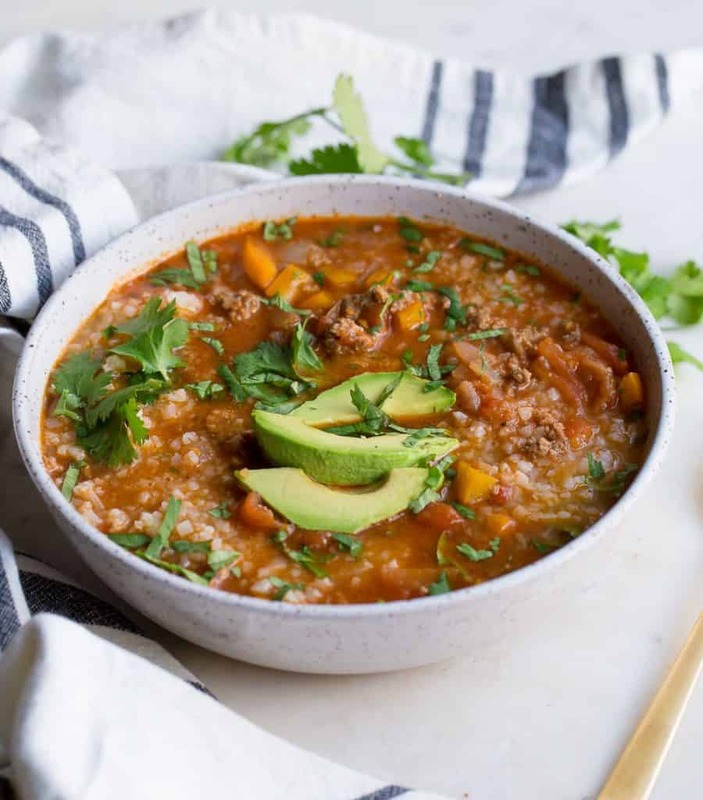 Taco Tuesday takes on a twist with this super easy, comforting, flavorful taco soup! 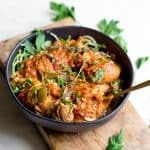 A perfect dinner on a busy weeknight that the whole family will love, and you will love how simple it is to throw together! Directions for both the Slow Cooker and Instant Pot. So guys. 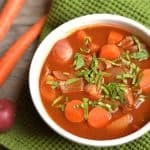 I just added the words easy and slow cooker to the title of this recipe. Your favorite phrases when it comes to dinner time! And maybe a little redundant because, let’s be honest, the slow cooker is always easy. 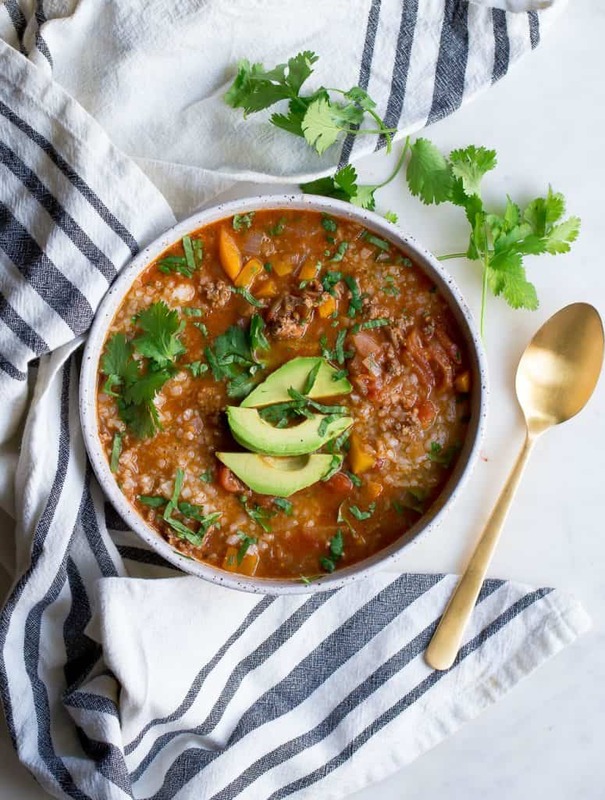 But I wanted to re-iterate that this soup and dinner can be thrown together in no time, and might be making it’s appearance in the regular meal rotation. 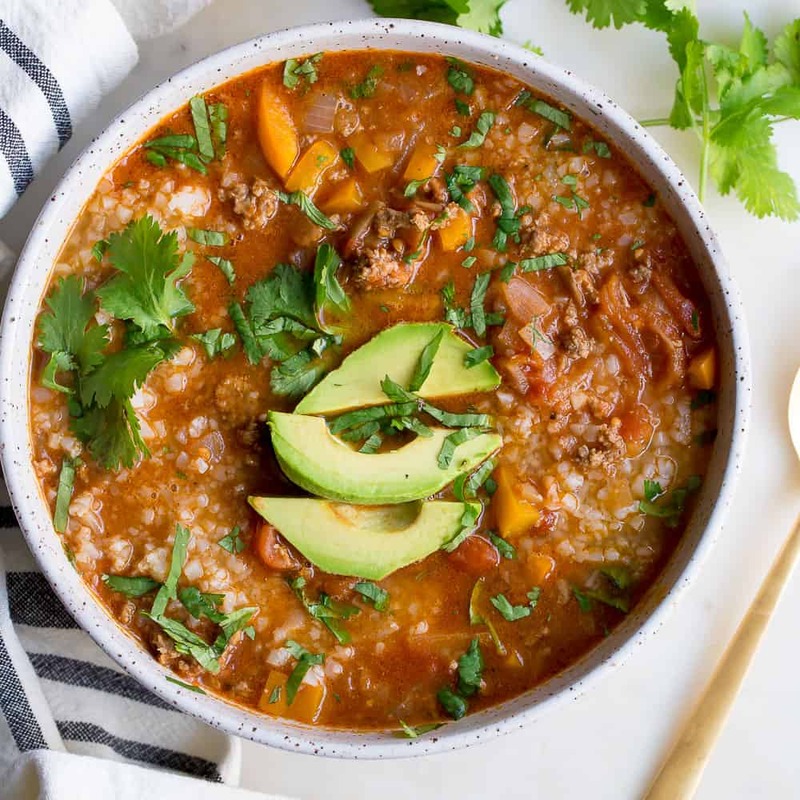 It’s also super simple to make in the Instant Pot!! This soup is one I’ve been making for years. It’s my husband’s favorite soup, like ever. 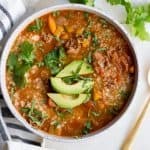 My mom used to make taco soup growing up and it was my favorite dinner that she made. I haven’t changed too much to it over the years, but have added the convenience of the slow cooker. 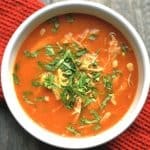 It requires simple pantry ingredients that you may already have on hand: 28 oz can whole tomatoes, 32 oz chicken broth, and a delicious blend of taco seasoning. So many delicious elements, and yet so simple! You will need to brown your meat for 5 minutes before throwing everything into the crockpot. 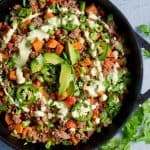 Top with cilantro, avocado, or any of your favorite taco toppings! 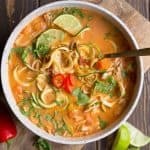 This soup makes enough for 2 days, or is perfect for a large family. Begin by heating up a large skillet pan to brown your beef. Cook over medium high heat for 5 minutes, or until beef is almost cooked through (a little pink is fine). Move beef to the slow cooker. 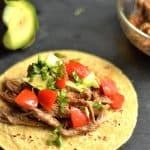 Mix together your taco seasoning in a small bowl, and add to beef. You can also use an envelope of pre-made taco seasoning. Toss in onion, bell pepper, tomatoes, and riced cauliflower. Stir to coat the ingredients evenly. Cook on low for about 4 hours or high 2-3 hours (varies by slow cooker). You can remove the quartered onion, or enjoy it with the soup. Serve hot with and garnish with cilantro (if using) and any of your favorite taco toppings. Select the saute function on your Instant Pot and wait for it to be hot (should only take a few minutes). Add oil to coat the bottom of the pot. Toss in grown beef with the onion. Saute for about 5 minutes (beef doesn't have to be cooked all the way through but should be close). Toss in your seasonings (make sure to mix them together in a small bowl before hand)and coat the beef with seasoning. 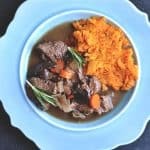 Hit cancel on your Instant Pot. Add bell pepper, chicken broth, tomatoes, and riced cauliflower. Secure the lid. Select manual and cook on high pressure for 7 minutes. Use a quick release. Serve hot with fresh cilantro. Garnish with any other toppings of choice. *I have only used frozen riced cauliflower in this recipe, but fresh riced cauliflower can also work. For the slow cooker, I would wait to add until toward the end of cook time. I used this recipe as my base. I used a packet of taco seasoning instead of buying all the separate seasonings. Instead of ground beef, I used a couple skinless, boneless chicken breasts that I had already cooked in the crock pot a couple days earlier. Also, I added a can of red beans, seasoned corn, and a few green onions. Turned out great! Why is the onion quartered and not diced? Thx! Gives it more flavor as it slow cooks, but you can definitely dice it if preferred!